With a population of almost 2 million and Florida’s second most populous county and ranking 17th in the nation Broward county real estate has something for everybody. Located just north of Miami-Dade county and just south of Palm Beach county you could not be in a better and more central location. Fort Lauderdale luxury real estate has many options: Bay Colony, Coral Ridge,Las Olas, Hillsboro Mile, Rio Vista Isles, The Harborage, The Landings and Victoria Park are obvious choices. Broward county key cities are: Fort Lauderdale, Hollywood, Coral Springs, Davie, Pompano Beach, Deerfield Beach, Davie, Miramar, Margate, Sunrise, Parkland, and Weston. 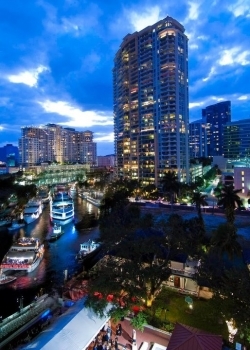 Maybe you are looking for one of the regions premier neighborhoods and waterfront living in the Fort Lauderdale area. Do you need a dock for a boat or yacht with your home no problem as there are plenty. Maybe a high rise with a downtown or ocean view are what you desire. If you’re looking to relocate or simply want a vacation home Fort Lauderdale and the Broward county real estate market has many options for you. The coast line extends over 32 miles with luxury homes, high rises and a intercostal water way canal system. Port Everglades is the second busiest cruise port in the world behind Miami’s.